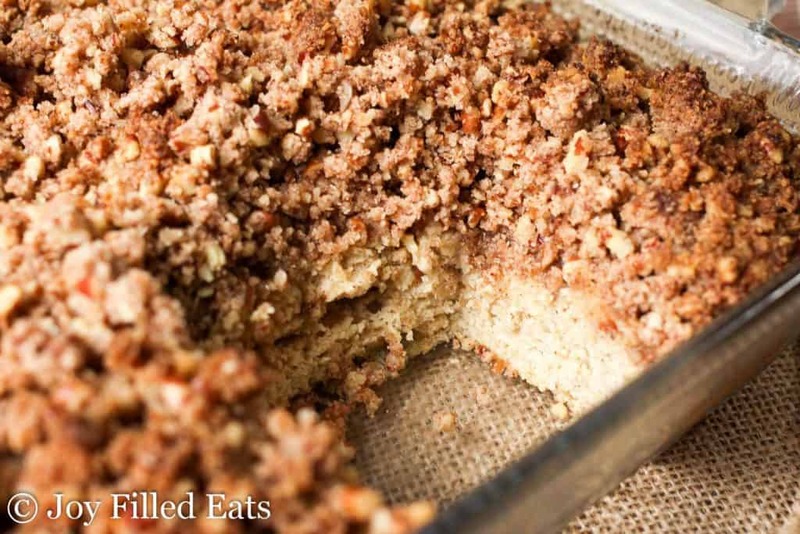 Tender golden cake topped with a heaping pile of cinnamon pecan crumbs? Yes. 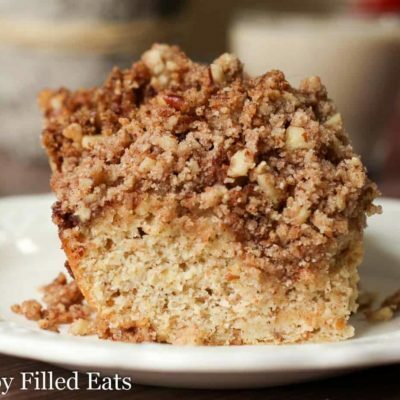 My Cinnamon Crumb Cake Recipe is perfect for breakfast, brunch, dessert, or a mid-afternoon pick-me-up. That’s my favorite time to cut a piece and savor every bite. While most people love pumpkin my favorite fall flavor is cinnamon. I do like pumpkin in certain dishes (like a Pumpkin Cake Roll) but if I had my choice between cinnamon and pumpkin cinnamon would win at least 90% of the time. In most cake recipes, I haven’t really noticed a difference between dumping all the ingredients in the bowl at once and adding them one by one in a particular order. So I tend to keep things simple and just dump. It still resulted in a moist, tender cake. Do not underbake this crumb cake recipe. If the topping starts to get too dark cover with foil for the last 10 minutes. 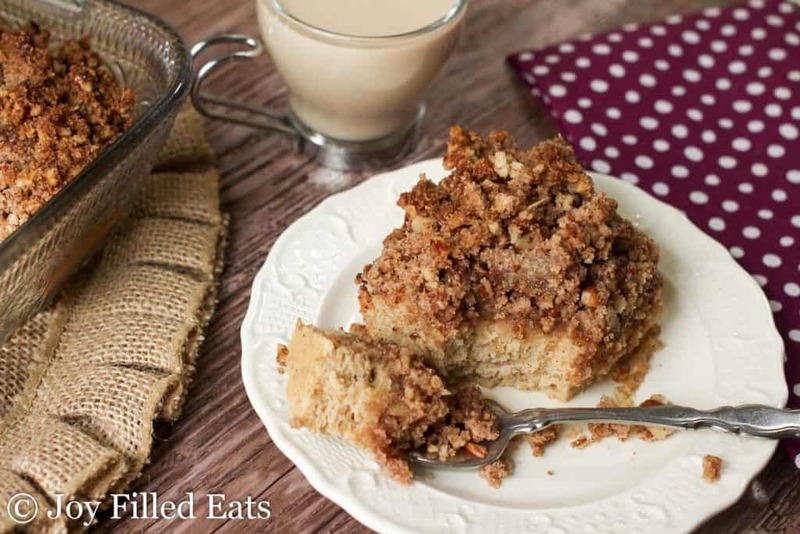 Store leftovers of this Cinnamon Crumb Cake in the refrigerator. 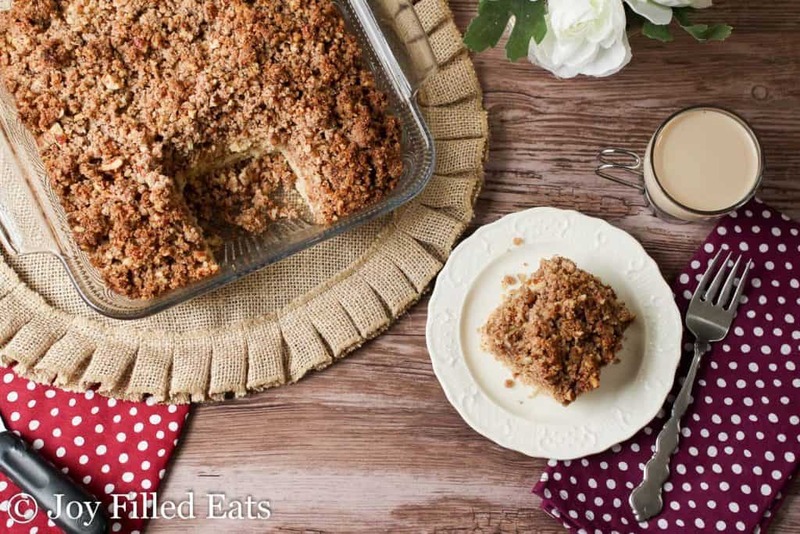 Tender golden cake topped with a heaping pile of cinnamon pecan crumbs? Yes. My Cinnamon Crumb Cake Recipe is perfect for breakfast, brunch, dessert, or a mid-afternoon pick-me-up. That's my favorite time to cut a piece and savor every bite. Grease an 8×8 glass baking dish with butter or cooking spray. 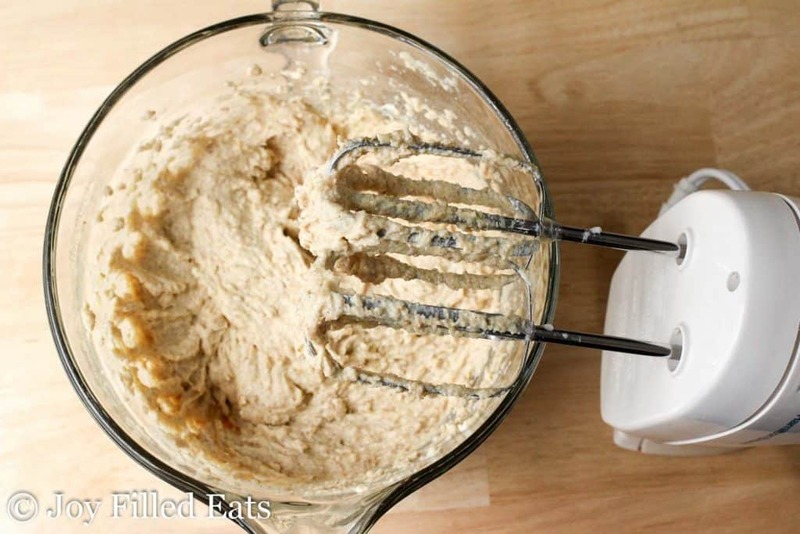 In a bowl with an electric mixer combine all the batter ingredients. Mix thoroughly. Pour into the baking dish and spread evenly. 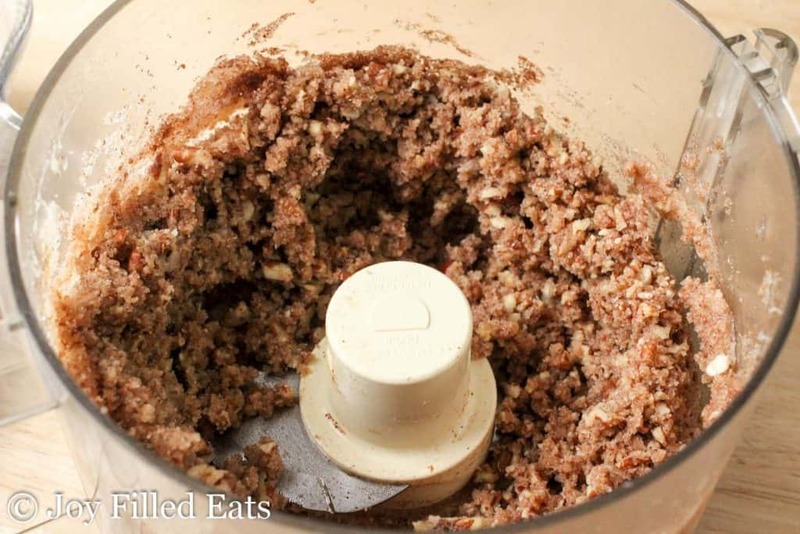 Combine topping ingredients in a food processor and pulse until crumbs form. Sprinkle on top of the batter. Bake for 45-50 min until golden and the center feels firm to the touch. Do not underbake. If the topping starts to get too dark cover with foil for the last 10 minutes. 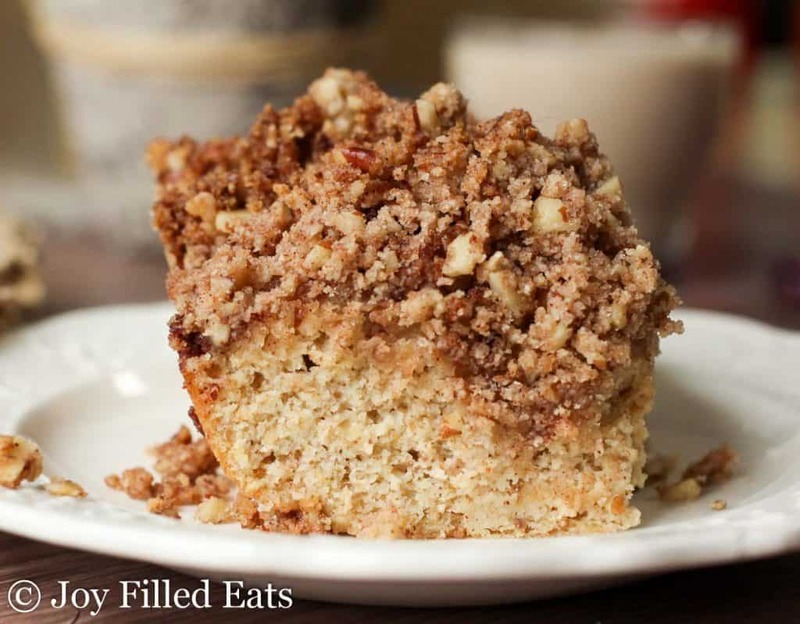 Store leftovers of this Cinnamon Pecan Crumb Cake in the refrigerator. How do you toast the pecans and how long? I bake them at 350 for 6-8 minutes. Check them often do you don't burn them. Absolutely delicious!! My husband will even eat this cake 😋 Thanks for sharing! Has anyone try it without sweetner. Will powdered Swerve work? Should I just use the 1/3 cup? It’s just what I have on hand and I want to make this immediately, ha! I went for it. Only used a 1/3 cup powdered Swerve in both the cake and the topping. It worked great! It’s not super sweet, but was perfect! I checked my cake at 35 minutes and it had already gotten dark on top. I suggest checking on it closer to 30...that’s my bad. I also baked it in a metal pan, so it prob cooked a little quicker? Took it out at 40 minutes total and it was done and moist. Thank you for the recipe...it really hit the spot! What can I use instead of gentle sweet or stevia? Which sweeteners do you have? If you have a specific one you prefer I can try to offer conversion tips. Gah! Can I eat this forever?! I seriously would if I could - delicious! I think I'd choose cinnamon over pumpkin, too. Love this cake. 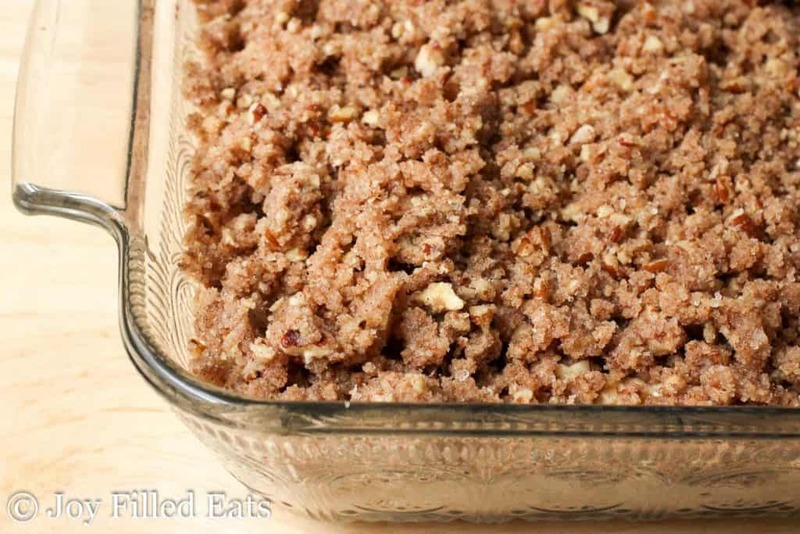 What a topping...pecan crumb. Yum! I found this to be a little dry. Do you think I might have over baked it? I have a new oven and I am still figuring out cooking times and making adjustments. I was thinking of adding a little almond milk next time to make for a more moist crumb. Maybe I could even add sour cream to the batter. What are your thoughts? This is not normally dry so you may have over baked it. I would go with sour cream over almond milk. 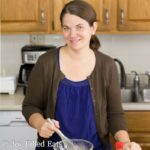 How much baking blend wouldI use to sub out the "local blend"? A little bit less. It is drier. This is the best cake ever! My husband loves it so much! I do too! Does this have to be made in a glass pan? Nope! It might cook a few minutes faster in a metal pan though. 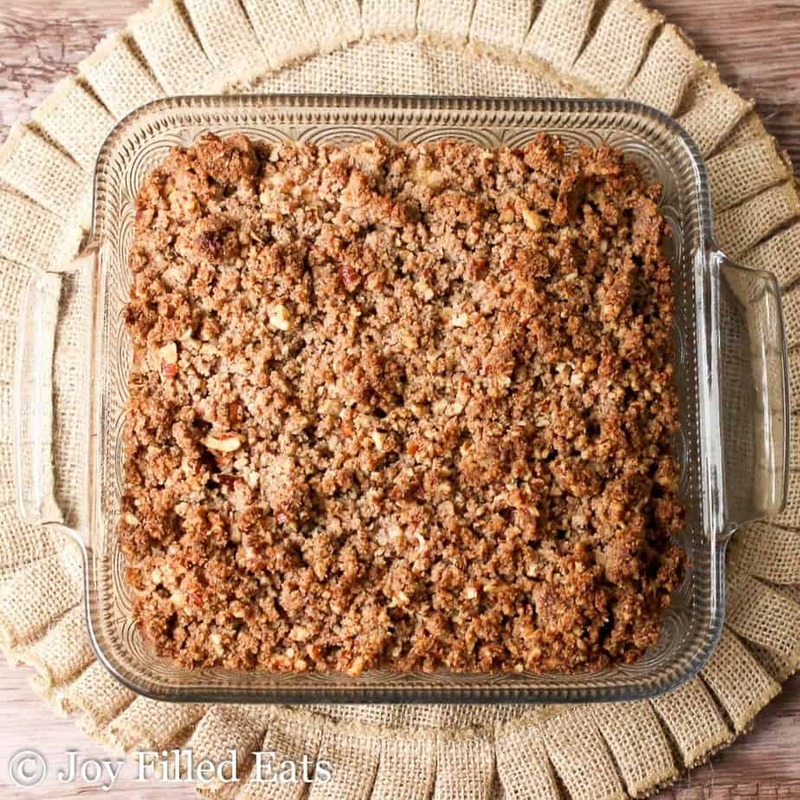 Is there a way to make this with just Almond flour? It should work to use all almond flour. First of all, thank you for all you do! It is super helpful to have some new ideas that are on plan and that taste great! I really appreciate it! I am wondering...have you used THM recipes from the book using your baking blend? If so, do you feel it was successful...trying to decide if I need to buy the THM Baking Blend or not... Thank you. I have made several of them with this blend. It has worked in all the S recipes I've tried it in. Oh, I want to try this Taryn. I like it chilled from the fridge. But it was great warm from the oven too!